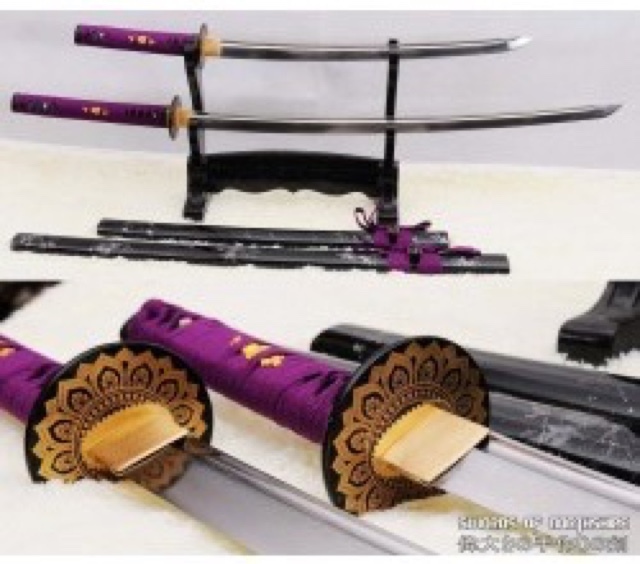 1) From the green mountains of Longquan, in the Asian country of China; Swords of Northshire offers custom-made, hand forged Samurai swords and many other similar warrior type products. Longquan has over 2,600 years of sword-making history; Swords of Northshire offers several different options for customizing your katana (sword), and has an easy to use customization interface unlike anything else in the sword industry. Swords of Northshire puts a major focus on customer service, and want to unsure that every single customer is happy with their order. My guy is really into collecting knives and those sorts of things, he has a set of batman boomerang type throwing knives we got from a comic book convention here in Texas a few years ago and a set of really cool all blue throwing knives I picked up for him last year at the Texas Renaissance Festival. If you know someone who loves the Chinese culture or collects swords and/and or knives, they're going to really appreciate and cherish getting a customized uniquely handmade gift from Swords of Northshire. 2) The owners of the company I work for are natives of Pakistan which is also located on the continent of Asia and every time they take a trip home they bring back beautiful gifts for everyone in the office. I was gifted prayer beads from their most recent trip and although I'm not a super religious person, I do believe in prayer/mediation. 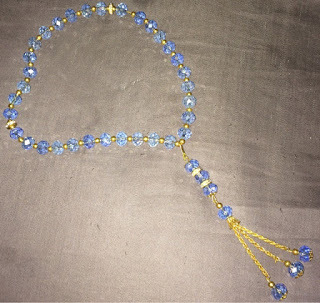 Peace and serenity is one of the most precious gifts anyone could ever give themselves; I think of meditation as my "me time" and every time I see my prayer beads I'm reminded of the importance of "me time" so, I really appreciate receiving those beads. You can find prayer beads and an array of other products from India online at East Essence. 3) South Africa, Kenya, Egypt, Ethiopia, Morocco and Nigeria are some of the most traveled lands on the continent of Africa. They are all full of unique culture; if you're looking for something from Moroccan check out Badia Design online and if you're looking for something from Egypt check out Bazaarin Egypt online. 4) If you're looking to indulge in the Aussie culture, check out Biome for gifts from Australia. 5) Europe has been on my list of places to visit since I was a kid and it's currently at the top of my travel wish list. There are so many wonderful countries with amazing cultures in Europe; I especially look forward to visiting France, Italy, the United Kingdom, Greece and Russia. 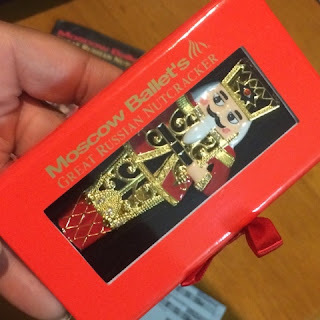 Speaking of Russia, Moscow Ballet's Great Russian Nutcracker tours the United States yearly and a few years ago I had the pleasure of seeing one of their performances with my daughter; we had a great time, picked up a new ornament for our tree and became extremely intrigued with the Russian culture. Attending the Moscow Ballet's Great Russian Nutcracker is how my daughter and I discovered Matryoshka dolls, also known as Russian nesting dolls, or stacking dolls; these are commonly gifted to children. You can find Matryoshka dolls and many other products from Russia online at The Russian Store. If you're as interested in Ancient Greek as I am and are looking for unique Greek gifts check out Doromu online. If you're looking for something from the island of Ireland, checkout Irish Handmade Gifts. 6) Some years ago at my old place of employment I had a very interesting conversation with a older man who was from the island of Jamaica. He was genuinely kind and gave me a lot of travel advice which is why Ocho Rios, Jamaica is now on my travel wish list. If you're looking for gifts from Jamaica, check out JamaicanGiftShop online. 7) If you're looking for unique gifts from South America, Peru & Arts has something you'll like. Thanks for sharing, those pieces are beautiful! I’m exchanging holiday cards with a couple of people from Lithuania, can’t wait to actually visit.